This month with two of the year's biggest animated movies being released - The LEGO Movie Part 2 and How to Train Your Dragon: The Hidden Kingdom - our focus will turn to the Best Animation of the Decade. Be sure to check out Episode 50 of The Movie Lovers, wherein we counted down our favorite animated movies of the decade. Okay, so, first: a few qualifiers. It's important to note the obvious caveat - the decade isn't quite over, yet. We realize this, thank you. There's a possibility that Toy Story 4 will be so great that it will qualify for this list. It's possible, but we're skeptical. Even less likely: the pop-star-palooza Ugly Dolls, The Secret Life of Pets 2, The Angry Birds Movie 2 (couldn't it just be called The Angry Birds Sequel? 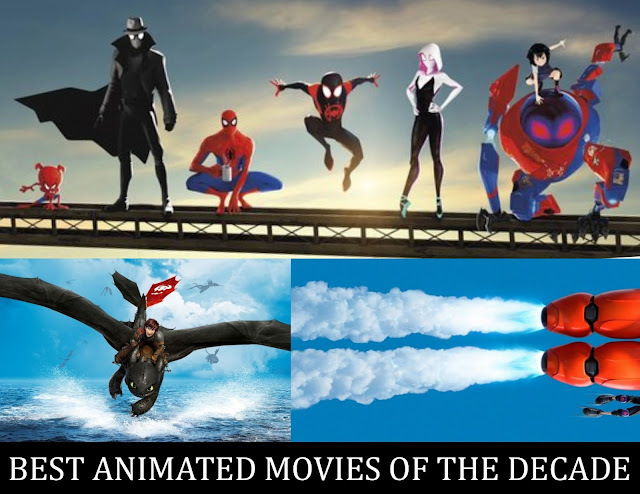 ), Abominable, Spies in Disguise... Look, if an animated movie comes along during the course of 2019 that is so extraordinary it shakes the proverbial animated landscape, it's possible it will be included in the 100 Best list. We'll see. But don't bust our chops too much over this. Second, what qualifies for this list? A film had to fulfill the following: 1) be theatrically released, 2) it had to be at least 75% animated - no live action movies with animated characters (although if it is animated with a live action segment, it counts) 3) it had to be more than babysitting material. In other words, it had to have a strong script, well-developed characters, or at least push the animated form forward creatively or technically somehow. As long as a film fulfilled those qualifiers it was in the running for this list. We looked at nearly 75 theatrically-released animated movies and narrowed it down to a list of 10! While many films were easy to dismiss, there were definitely a dozen or two that fought to be included. 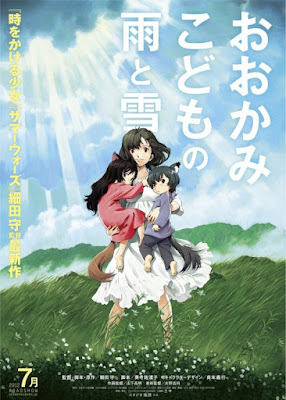 Not one of the most popular picks on this list, Wolf Children is a beautiful, gentle, and touching anime by Mamoru Hosoda (Summer Wars, Mirai), one of the best directors this decade in this field. It starts off as a romance between two college kids (one is revealed to be a werewolf) and evolves into a story of two children growing up in the country with their single mom and wrestling with identity (are they human or wolf?). The film sounds more horror than it is - and maybe a filmmaker with less care would lean more into that potential. Really, what we're given is a drama with a romance more beautiful than anything Twilight attempted around that time and sets the tone for the rest of the film. The children are animated adorably with distinct personalities (one is wild and outgoing while the other is quiet and shy). The story will move you more than you will expect by the time the credits roll and it will stick with you long after. 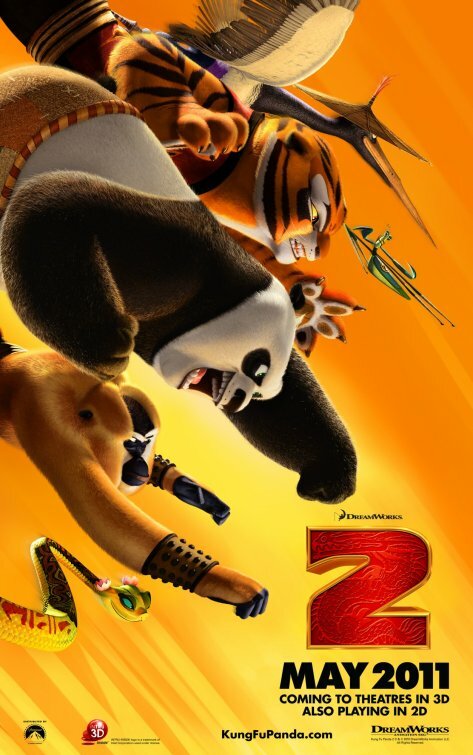 Hands down the best of the trilogy, Kung Fu Panda 2 takes the story to its next logical direction: what happened to Po's parents and the rest of the pandas? Surprisingly, this touching subplot, which includes a concerned Mr. Ping (the legendary James Hong), takes the back seat to the main plot, which focuses on a sinister peacock (Gary Oldman) who wants to conquer China with a new weapon the likes of which the martial arts masters have never seen. Gary Oldman's career is chock-full of iconic characters - Oswald, Dracula, Zorg, Gordon, Churchill, Sirius - but the peacock, Shen, should also be considered among his best. He is menacing, formidable - a real threat to the heroes of China - and hilarious. He is the most memorable and best villain of the series. But, as great as its villain is, a great film is more than its villain. While the CG animation is rough in spots already, director Jennifer Yuh Nelson pushes the series forward with animation that is stunning and creative; the past is depicted in traditional 2D, which often cuts through the CGI in various ways. Like several other American animation studios, DreamWorks made a lot of disposable movies this past decade. Kung Fu Panda 2 is not one of them. There seemed to be only a handful of notable anime this past decade, especially since Studio Ghibli apparently shuttered and Hayao Miyazaki retired. This gorgeous piece of fantasy involving two teens who seem to body-swap and must prevent a tragedy is among the best. 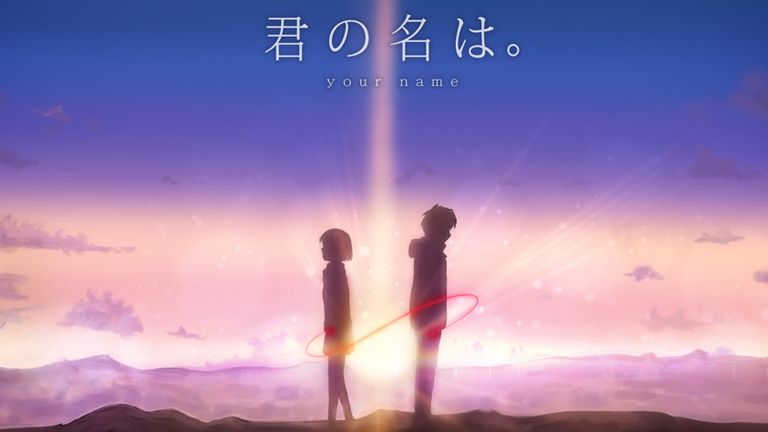 Written and directed by Makoto Shinkai (The Place Promised in Our Early Days) and based upon his own novel Your Name. is funny, beautiful, suspenseful and one of the best animated romances of the decade. Okay, let's take a step back to early in the decade when it was announced the directors of Cloudy with a Chance of Meatballs were going to make a movie about LEGO toys. Sure, Cloudy was surprisingly clever, but it wasn't anything extraordinary. And how is anyone going to make a story worth a darn about LEGO bricks?! Directors Phil Lord and Christopher Miller went a country mile further than anyone ever expected with this concept creatively. 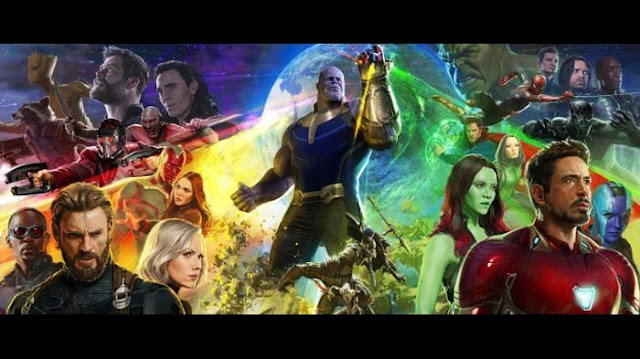 The result made back the film's budget ($60 million) in one weekend and would go on to gross over $468 million worldwide. They took the Toy Story route and tapped into the endless opportunities for creativity, the wonders of childhood playtime, and the relationships between parent and child that toys can strengthen. The LEGO Movie became about individuality vs. conformity, creativity vs. following rules, and order vs. chaos - all with an endless amount of cleverness and hilarity. The jokes seriously fly by at lightning speed, so no audience member - young or old - will be blamed for discovering new laughs with each repeated viewing. The animation is quite remarkable: CGI that often looks and feels like stop-motion animation, emphasizing the feeling of toys being played with. That leads to the film's coup de grace: the final act. Sure, 2019's Part 2 spoils it straight away, but I won't. That third act takes a very good and clever animated film to a level above most with greater emotional resonance than anyone ever expected. The film was criminally snubbed by the Academy due to a live-action scene (Disney's very good, but inferior Big Hero 6 won Best Animated Movie). Here it finally gets an ounce of its due. 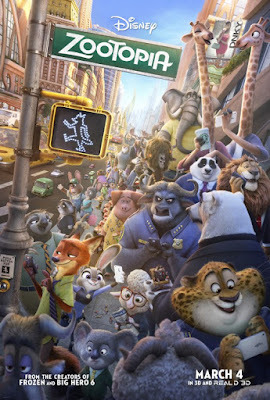 While completely unintentional, who would've thought that Disney Animation Studios would make a film that speaks to increasing reports of police brutality on African Americans? Their film about prejudice existing in the police force and city council of a metropolis of mixed races and backgrounds hit home with audiences in 2016, making it one of the most potent films in Disney's history. But it's still a Disney film, so it still zips and entertains - and does so very well. The film is anchored by Officer Judy Hopps (Ginnifer Goodwin), a bright-eyed and bushy-tailed (don't ever say that to her face) new addition to the Zootopia Police Department. She is cheery, yet filled to the brim with determination and persistence. Her insistence on getting to the bottom of a missing otter case leads her to a forced partnership with con artist Nick Wilde, a fox played perfectly by Jason Bateman. The two play the odd couple partnership with expert sarcasm and zip and ultimately come to learn they've both been affected by prejudice. Zootopia is a great film in a great year of animation that included another entry on this list. It is one of the few that were also relevant to the times we were living. 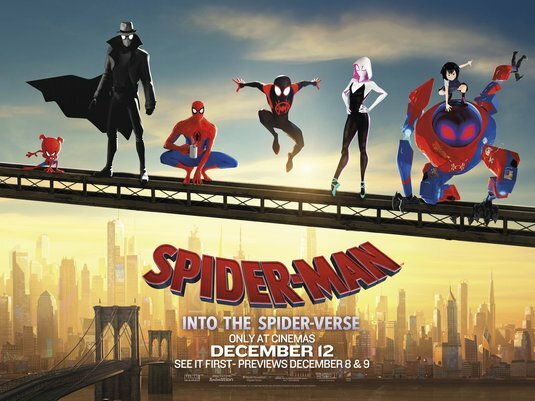 Never would I believe at the beginning of this decade that a) a Spider-Man animated movie would be one of the most innovative animated films of the decade and b) a theatrically-released superhero film successfully adapted the concept of a multi-verse - and was a huge hit! Conceptually speaking, this thing seemed like a bad idea. Nothing about this film should work. Another Spider-Man? But a different one than the Andrew Garfield one and the MCU one? Won't audiences be confused? Won't audiences be burned out? Wait - there's multiple Spider-Men in it?! Won't audiences be confused? Won't audiences be burned out? It turns out, Into the Spider-Verse is brilliant on every level. While not a great intro to a superhero, it leaned heavily into our existing knowledge and understanding of Spider-Man and his rogues gallery. Green Goblin is a giant, winged beast? Sure, why not. Doc Ock is a female scientist? Certainly! It never feels the need to explain, things just are. AND... let's not forget the incredible animation that blended comic book pages, CGI, and 2D animation to make something that is very much of the past and the present. This is truly one of the greats that will stand the test of time. Ever since Pixar ushered in the era of CG animation, they have set the bar for quality storytelling. While they've stumbled quite a bit this decade with middling efforts (The Good Dinosaur) and sequelitis (Cars 2 & 3, Finding Dory) not up to that bar they set they certainly kicked the decade off right with this sequel to their flagship title. Taking the idea of a daycare center - where an endless rotation of kids play with toys year-by-year - and turning it on its head as a prison takes one brilliant idea and shapes it into another brilliant one that combines prison movies, horror, comedy, and tear-jerking drama. In Toy Story 2 the idea of actual physical harm to these toys was subverted, but in Toy Story 3 we actually bear witness to an actual threat - and resignation - to their existence. It is one of the studio's greatest moments. Along with that is the apparent farewell this film gives to a set of characters many audiences grew up with and all have grown to love. Pixar is about to undo that farewell by going back to the well this year. Whether or not that is justified remains to be seen. 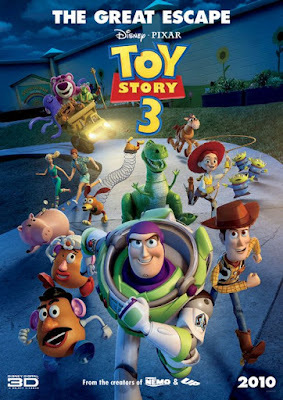 But with Toy Story 3 we have the best animated sequel and one of the greatest emotional experiences the decade had to offer. Frozen may have been the decade's box office behemoth in animation, raking in over $1 billion worldwide ($400 million domestic) and on endless repeat in livingrooms occupied by toddlers and grade schoolers. But it is Moana that is Disney's crowning accomplishment this decade. 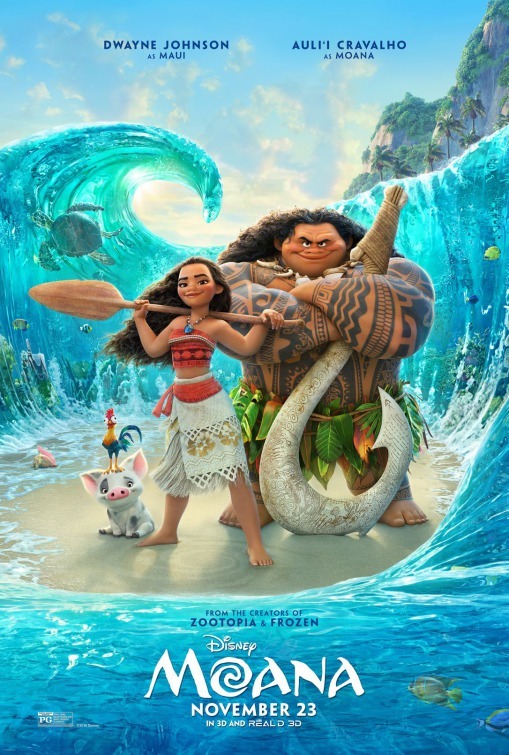 While Frozen had the chart-topping 'Let It Go' (dangerously close to being this decade's 'My Heart Will Go On' in terms of pop culture exhaustion), Moana had a more complete songbook of classics. Largely co-penned - if not completely penned - by Lin-Manuel Miranda, songs like 'How Far I'll Go', 'You're Welcome', and 'Shiny' became unforgettable classics that stand shoulder-to-shoulder with anything from Disney's first 60 years. And, while Frozen focused on a woman who isolated herself from the world for being who she is, Moana is more on point with the decade's female empowerment messages by being about a woman who is told to be content in her place, but knows there's something more for her (and her community). Add to this the dash of diversity with Polynesian characters over the tired lily-white European fairy tale characters and an overall stronger script and set of characters and Moana is a huge step forward for the House of Mouse. It is the Disney film of the decade. Pixar has accomplished much in its 25 years of storytelling. It's made us explore the worlds of toys, bugs, the sea, rats, cars, our childhood monsters, and the future. 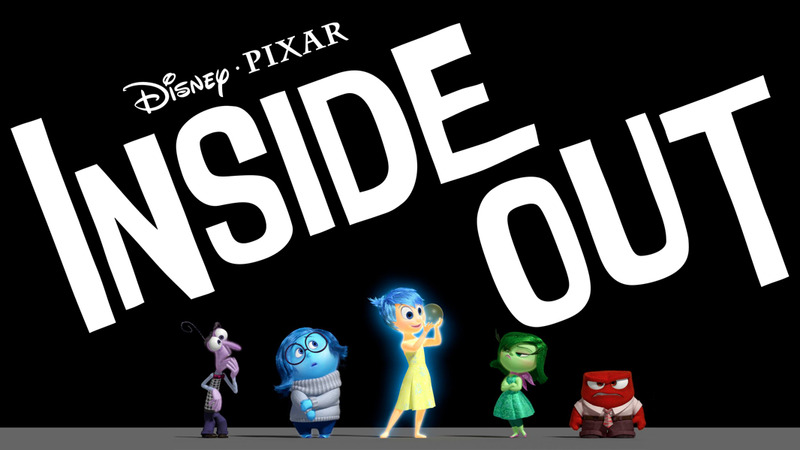 With Inside Out they explored the world inside of us. Doing so might have made for their greatest story, yet. The film follows the emotions within pre-teen Riley, who is moved to San Francisco due to her father's job. 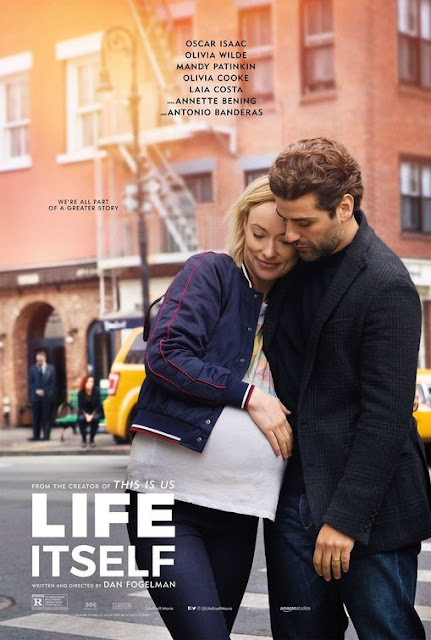 The focus is primarily on Joy (Amy Poehler), but includes Sadness (Phyllis Smith), Anger (Lewis Black), Fear (Bill Hader) and Disgust (Mindy Kaling). Joy is always aiming to make every day a perfect one for Riley, free of any troubles or pain. One thing leads to another and Joy and Sadness get swept away on an adventure that explores memory, thoughts, and all of the things that help make us who we are. This is some trippy-sounding stuff for a family movie. Inside Out makes sense of it all while also giving children and adults, alike, a means by which to process their emotions and what's driving them. Who is in control of the emotion console? Is it Anger? Fear? Sadness? These are exceptional psychological tools that Inside Out provides. By touching on the core memories and different personality "islands" the film also explores further the question of identity in a concrete manner. It makes the intangible - emotions, memories, etc. - tangible. Inside Out is one emotional gut-punch after another, but never forgets to entertain and make audiences laugh. It is Pixar's greatest film - not just of the decade, but of its entire history. During this decade Pixar gave us insight to our inner emotions (Inside Out) and helped us say goodbye to our childhoods (Toy Story 3). DreamWorks, however, took us - and the studio - to greater heights by making us soar in the clouds. How to Train Your Dragon is the greatest work the studio has ever produced so far. 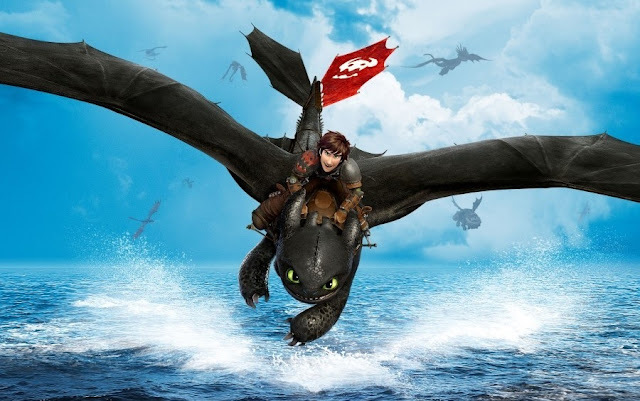 Very few moments in any film this decade compare to the montage where the ineffectual Hiccup befriends the dragon Toothless or when they take flight for the first time - and if you were lucky enough to see it in theaters in 3D you were really treated to an unforgettable experience. What really takes those scenes to another level is John Powell's score ('Forbidden Friendship', 'Test Drive', respectively). It also includes the piece 'This is Birk', which helps make our introduction to this little island village unforgettable. Powell's score is simply one of the best of the entire decade. Its competition at the Academy Awards that year was tough: Alexandre Desplat (The King's Speech), A. R. Rahman (127 Hours), Trent Reznor & Atticus Ross (The Social Network), Hans Zimmer (Inception); Powell would lose to Reznor & Ross. With witty dialogue to spare, as well, it all came together to create one of the best animated movies of the decade. So, those are my picks for the best animated movies of the decade. What do you think is the best animated movie of the decade? Feel free to comment below or email! Be sure to check out the previous entry on love stories of the decade. Next month, we'll be looking at the best foreign films of the decade!